Swimming can be a sport for all ages. It assists young individuals to tone their muscles and grow healthy and powerful. The best pools to swim are definitely indoor olympic pools. Looking for Heated Pools in Georgia? A lot of of them belong to gyms or sport centers which also offer lessons. Not all countries would be the exact same, and swimming regulations and rules are changing from one country to a further. 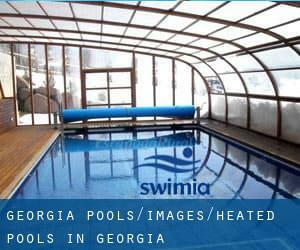 Thanks to some new Swimming Pools submitted each day, Swimia.com is increasing every day the number of stored pools. Please don't hesitate to contact us in case you uncover any inaccurate or incomplete information. 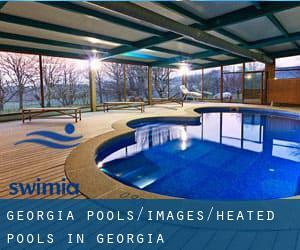 Please check the nearest Heated Pools in Georgia or Contact us to ADD IT. It's free! Holding an estimated population of 420.003, Atlanta is one of the most important cities in Georgia. Check all the Swimming Pool in Atlanta and its surrounding area. Swimming is really a excellent idea to keep your body active for the duration of your visit to Macon (Georgia), or perhaps if you're a local. Swimia helps you to discover your closest Swimming Pool in Macon. Without a shadow of a doubt, swimming in Columbus will be the very best solution to unwind right after work. Take a couple of minutes to browse Swimia's catalog to find a Swimming Pool in Columbus. Let us tell you a secret to switch off while you happen to be in Athens: just decide on a Swimming Pool in Athens and plunge into the water! There's no much more efficient process. It's hard to visit Georgia without dropping by Sandy Springs (with 93.853 residents). Currently Swimia is showing you all of the Swimming Pool in Sandy Springs along with the closest pools located in its vicinity. Updated on 2019 371 Riverview Dr. , Jekyll Island , GA , USA (Postal Code: 31527). This sports center delivers 20 yards, 4 lanes, Outdoors. For this Pool, only phone number is number here. Updated on 2019 5595 E. Hedgebrooke Drive , Brookstone I Subdivision , Acworth , GA , USA (Postal Code: 30101). Among all the activities offered by the center, for anybody who is thinking about swimming you may enjoy 25 meters x 35 yards, 6 lanes, Indoor/Outdoor. Just in case you want to make contact with this Pool prior to dropping by, we only know the phone number. Updated on 2019 3434 Peachtree Rd. N.E. , Buckhead , Atlanta , GA , USA (Postal Code: 30326). Among all the activities offered by the center, if you're thinking about swimming you can take pleasure in 20 yards x 30 feet, Indoors. Just in case you want to contact this Swimming Pool before dropping by, we only know the phone number. Updated on 2019 365 Cleveland Ave., S.E. , Atlanta , GA , USA (Postal Code: 30344). Swimmers like you have reported 25 yards, 8 lanes, Indoors. Also, you will find 20 yards, 2 lanes, Indoors. Just in case you desire to contact this Swimming Pool prior to dropping by, we only know the phone number. Updated on 2019 11060 Alpharetta Hwy. , Roswell , GA , USA (Postal Code: 30076). Swimmers like you reported 25 yards, 5 lanes, Indoors. Unfortunately we do not have the email address of this Pool, but we can give you the phone number. Updated on 2019 Mill Creek Regional Park , Statesboro , GA , USA (Postal Code: 30458). This sports center offers 25 yards, Indoor/Outdoor. For this Swimming Pool, only phone number is number here. Updated on 2019 Peachtree and 10th St. , Midtown , Atlanta , GA , USA (Postal Code: 30309). Among all the activities offered by the center, if you are enthusiastic about swimming you'll appreciate 18 yards, Indoors. Just in case you desire to contact this Swimming Pool before dropping by, we only know the phone number. Updated on 2019 120 Paul Franklin Road , Clarkesville , GA , USA (Postal Code: 30523). This sports center offers 25 yards, 8 lanes, Indoors. For this Swimming Pool, only phone number is number here. Updated on 2019 SAAC , Clairmount Campus , 1946 Starvine Way , Decatur , GA (Postal Code: 30033). Among all the activities offered by the center, when you are interested in swimming you can expect to appreciate Olympic size x 25 yards, Indoors, Outdoors. Updated on 2019 3201 Martin Luther King Jr. Dr., SW , Southwest , Atlanta , GA , USA (Postal Code: 30311). Among all the activities offered by the center, if you are enthusiastic about swimming you'll appreciate Olympic size x 25 yards, 8 lanes, Indoors. Just in case you desire to contact this Swimming Pool before dropping by, we only know the phone number.